Do you have a tooth that is cracked, broken, misshapen, has a lot of dental work, may need to be extracted, or are you in need a dentures or dental bridge? If so, you may need a tooth crown or some dental crowns. A tooth crown is a cap for teeth. This tooth cap is made from porcelain, and though that sounds fragile and breakable, this tooth crown is remarkably durable and sturdy. This tooth cap is made by having your dentist take a mold of your teeth, then sending the information to a lab. The lab then makes a crown that fits your mouth and is also color-matched so the tooth crown matches the rest of your smile after your procedure at our practice near Ocala and The Villages. However, Dr. Wayne Harper has implemented a new system for dental crowns that makes getting tooth cap even better! It is the CEREC tooth crown in a day system offered right here in Ocala. Using the CEREC tooth crown in a day system gives us the opportunity to give you dental crowns created right in our office and made in about an hour. We use the CEREC tooth crown in a day system computer program to get the specifications for the dental crowns, then the CEREC tooth crown making machine actually sculpts the dental crowns right in the office while you wait in our comfortable office. CEREC gives us the option of supplying you a beautiful, sturdy, long-lasting tooth crown in a day. CEREC same day dental crowns near Ocala and The Villages can give you the full, complete feeling you will enjoy while looking completely natural. 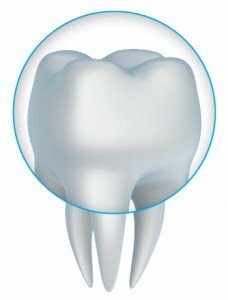 What can dental crowns be used for? A tooth crown as a tooth cap can be used to cover damaged teeth, such as broken, chipped or cracked teeth, or teeth so damaged with dental work there is a possibility of decay. Dental crowns are used to restore dental implants. These are a special tooth cap as they top the dental implants to create a “new” tooth. Dental crowns are used on each side of a partial denture or dental bridge. If you are interested in knowing more about dental crowns or the revolutionary CEREC procedure, call our Ocala office today! We are proud to offer this service to everyone in Ocala and The Villages!